Recently, we received an interesting question about Data Standard. 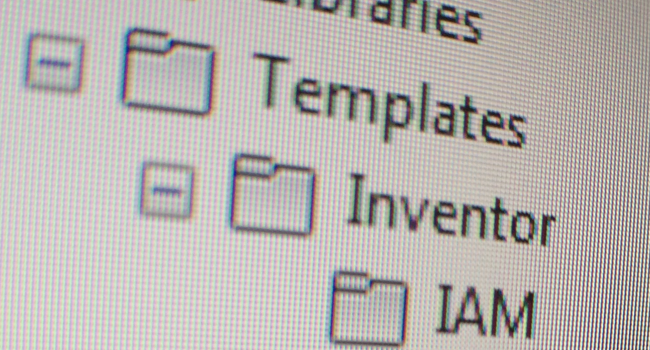 In Vault, it’s possible to create new files based on templates. The question was whether it’s possible to inherit the category and maybe also some properties from the template file into the new file dialog. Obviously, the answer is YES! Every time, the user selects a template, our OnTemplateChanged will be fired. Inside such function, we will take the file information from the selected template file and assign it to our dialog. As the selected template path and template name are sort of internal properties, we will retrieve these information directly from the DataContext of our dialog. Now that we know which template the user has selected from which folder, via the Vault API we can get the file information. The following functions can be placed either in a separate PS1 file or somewhere in the default.ps1. At the end we can set the current category with the category of the template file. In the last two lines we set also the title with the same value as the template, so in case your templates have some default values, they can be brought over to the new file. Now, as the file object does not expose the properties, we need to pick them via the Vault API. For this purpose, I created another small function that retrieves the properties and returns an array with property name and value. You will notice that the dialog is again reactive. So, now it’s up to you to define which information shall be copied from the template into your new file.